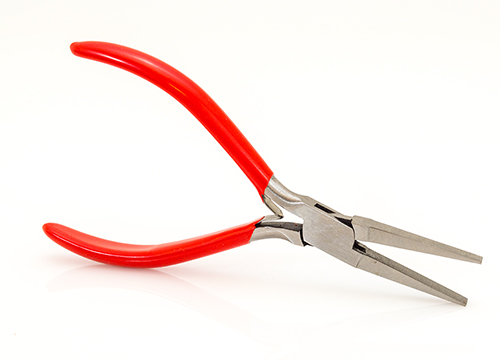 German made 5mm flat nose pliers have 1-5/8" smooth jaws. Overall length 5-1/2". Flat nose, long nose pliers. 5-1/2" long with 1-5/8" jaws. Made in Germany. On sale while supplies last!